*UPDATED* The Dragon Ball Super movie slated for release December 14th, 2018 has been confirmed as Dragon Ball Super: Broly. 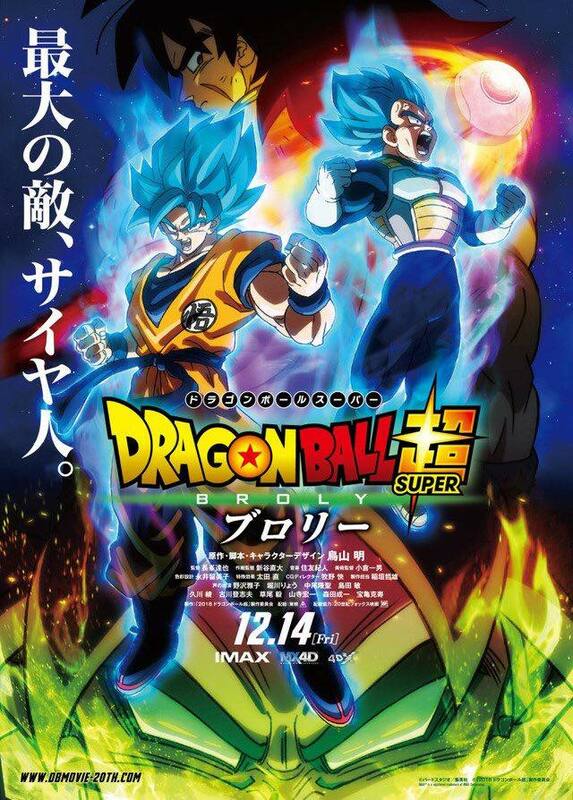 The official tagline, as translated from the official poster is “The Greatest Enemy, a Saiyan”. Many fans were skeptical of the leaked movie promo poster, logo and merchandise advertisement. 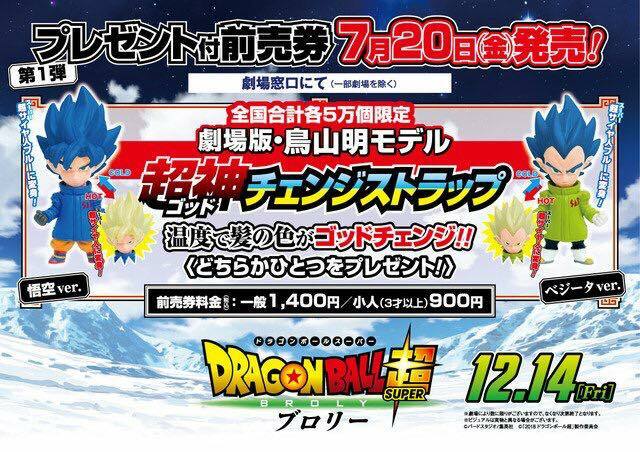 But it’s been confirmed via DBMovie-20th.com‘s latest update that the promotional materials are indeed real and we will also be receiving our first batch of related merchandise this month. Everyone, are you familiar with Broly? He’s an incredibly strong Saiyan who only appeared in the old anime movies, and I apparently at least drew the designs for him, but I had practically no involvement with the anime at the time, so I had totally forgotten about the story content. So, about Broly. I hear these days, he’s still very popular not only in Japan, but also overseas. Based on that, my editor suggested we have Broly appear in this next movie. I went ahead and watched the movies from back then, and I felt this could be quite interesting once I rearrange some things. I got right to work trying my hand at a story that incorporates him into the Dragon Ball Super series. While keeping in mind Broly’s classic image so as not to disappoint his fans, I updated him and added a new side to his character, and I think this has resulted in a more fascinating Broly. Naturally you’ll get to see fierce combat, but also, the paths of destiny that lead to an encounter between Goku, Vegeta, and Broly. It also involves the Freeza Force and the history of the Saiyans, which end up having a major connection to everything. The story content turns out to be very large-scale and dramatic. Here comes that almighty Saiyan, Broly! I’m also including lots of other content all you fans will enjoy, so look forward to it, and be patient a while longer for it all to come together!! The official teaser for the movie can be seen here, but a full length movie trailer and additional footage will debut at San Diego Comic Con on July 19th, 2018. Advance ticket sales begin July 20th, 2018 and will come with a Goku or Vegeta keychain figure (while supplies last). Additionally, the heads of these figures change color based on temperature; blue for cold and yellow for warm. The figures also appear to be wearing cold weather jackets, which ties in to the arctic scenery in the advertisement. This seems very telling of what the scenery of the upcoming film will include. 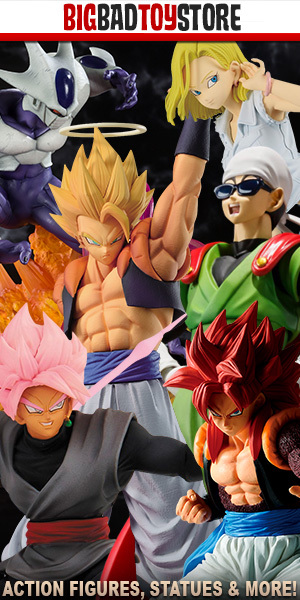 Check Out The SDCC / Dragon Ball Tour Exclusives Packaging! I’m still in shock. Very excited to see Toriyama’s take on Broly. I’m glad this film will have heavy focus on the Saiyans!